The arm can help users regain a lost sense of embodiment. Researchers from the University of Utah have developed a mind-controlled robotic hand that can simulate 100 unique touch sensations in the user’s brain. The developers used a Defense Advanced Research Projects Agency (DARPA) funded arm affectionately referred to as the LUKE, so named after Luke Skywalker’s prosthetic arm from the Star Wars films. The updates developed by the Utah group involve implanting a device into the patient’s residual nerves, along with electrodes implanted in muscles to create a loop of information that is transferred into signals that the brain recognizes as sensations of touch. According to one of the developers on the project, Jacob George, “People often think of touch as a single sense, but it’s actually sub-divided into other senses, such as pressure, vibration, temperature, pain, etc. The high resolution of our device allows us to activate these sub-classes of touch in isolation (i.e., pressure without vibration or pain) in a specific part of the hand.” This allows for users to regain a sense of embodiment that they may have lost. The process for preparing the arm for use is arduous at the moment. The team has to map each of the 192 electrodes with each participant’s nervous system so each sensation corresponds with a real stimulus. That is, if pressure is applied to a specific area, like the tip of the thumb, the participant feels that pressure in the thumb of the prosthetic, instead of another area. Once this is completed, the user would be able to control the hand as if it were their own. The Utah team has tested their new interface with seven participants so far. They are emboldened by the results thus far but are keen on creating a wireless version of the technology within the next year. Functionality is also expected to improve as patients have the opportunity to practice with the interface. Human augmentation is rapidly innovating to bring functionality back to disabled. Of course, these innovations are not occurring only in the form of enhanced arm prosthetics. Mind-controlled prosthetic legs are also being developed to allow people who have lost their lower limbs to live lives more like they did prior to their ordeal. For example, a 31-year-old amputee was able to climb the 103-story Willis Tower with the help of a bionic limb equipped with Targeted Muscle Reinnervation (TMR) technology. Other technologies are helping people regain non-motor functions like vision. Filmmaker Rob Spence replaced his damaged eye with a custom designed camera, making him one of the world’s first cyborgs, or “Eyeborg,” as he calls himself. 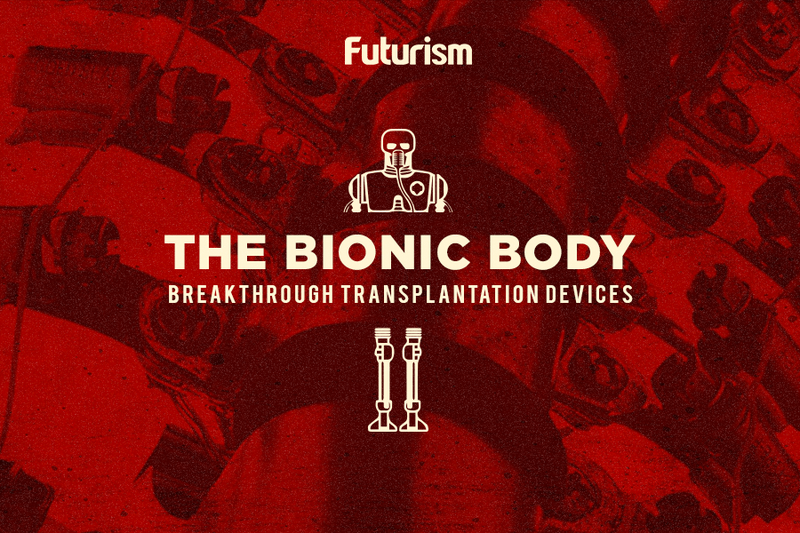 Further innovation in the way our brains interact with machines will continue to allow these kind of augmentations to bring greater functionality back to those who have lost some. Even more, the ability to fine-tune this interaction will also lead to a world where even regular humans are able to enhance their abilities with augmentation.